... for my beautiful, clever children, and their squishy hugs and slobbery kisses. 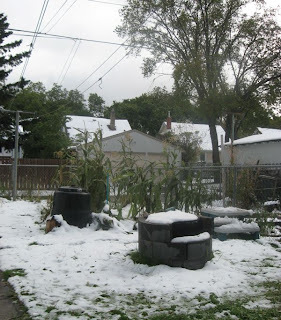 ... that, despite the fact that my son has a cold, it's just a cold -- nothing worse. 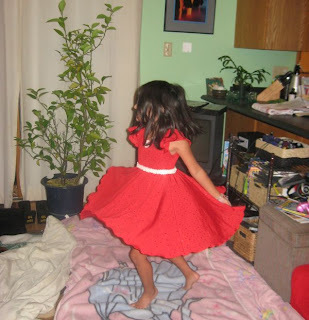 ... for awesome hand-me-downs that turn into Dancy-Dance dresses for my daughter. ... for my handsome, funny, and loving scientist-guy husband, who still thinks I'm hot enough to keep perving me at every opportunity. ... for non-fat caramel macchiatos from Starbucks, double-doubles from Tim's, mocha-on-chocolate cupcakes from the Cupcakery, and prawn & papaya salad from Wasabi Sabi. ... for my RL friends and my online friends, who all make me feel smart, cute, spunky , hot, and not just a former axolotl tank -- but who's apparently still a super sci-fi nerd. ... for the family glazed ham recipe that saves me from ruining making turkey for Thanksgiving, Christmas, and Easter. ... for Dracula 2000, Timeline, Beowulf & Grendel, The Phantom of the Opera, and 300 -- the movies of my pretend boyfriend Gerard Butler that I've seen. Yes, I should see more of his movies. No, I'm not a very good pretend girlfriend. ... for the hula -- kahiko, which I love to watch, and 'auana, which I love to teach. ... for blogging, so I can subject all of my awesome Life Candy friends to my incessant brain farts fun stories and ideas. ... for online shopping, so I don't have to go to the malls and deal with crowds, because apparently, according to Roomie, I don't like people. 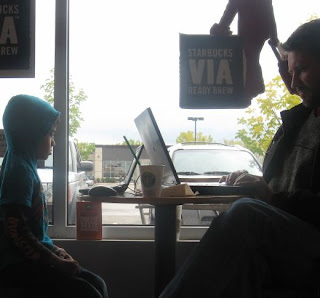 ... for modern technology that allows my two nerd-boys to hang out at Starbucks and have some father/son bonding. ... for NewsRadio, 'Allo 'Allo, Friends, and WKRP in Cincinnati on VHS & DVD, for the times my son and I get sick and need something better to watch other than typical annoying daytime tv. ... for SO MUCH MORE!!! Happy Thanksgiving from me to you! Hey, in case you didn't know, your boyfriend is the guest host on SNL next weekend. No, not Craig Ferguson, your other boyfriend. No, not George Snuffleufagus, the other other one... Gerry. and a Happy Thanksgiving to you too:) There truly is a lot to be thankful for, isn't there? Great List!! Lots to be thankful for! Hope you had a great Thanksgiving. What a great post. You crack me up, girl!!! Aww, I love this post! I loved this post! Such wonderful things to be thankful for! the fridge hates me, and the toaster's laughing at me. not a meme for the weekend. really, it's not. sorta.